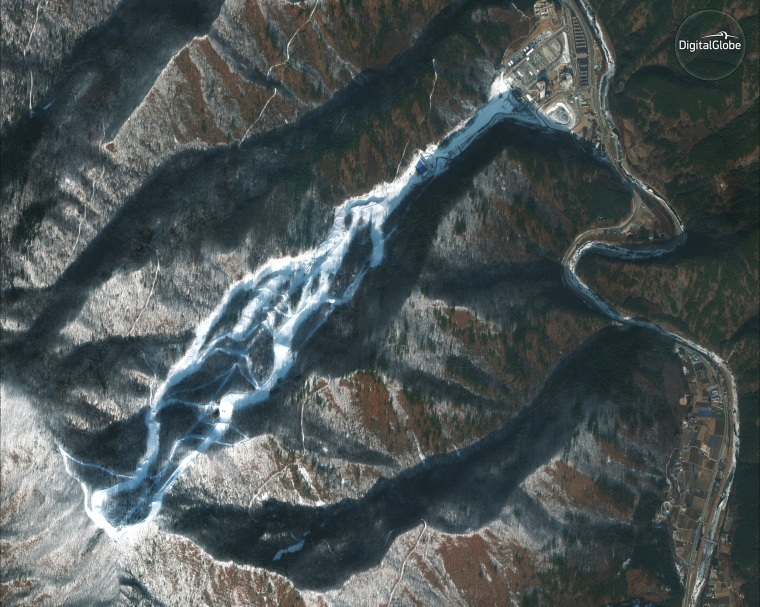 The eyes of the world will be on South Korea during the upcoming Winter Olympics. 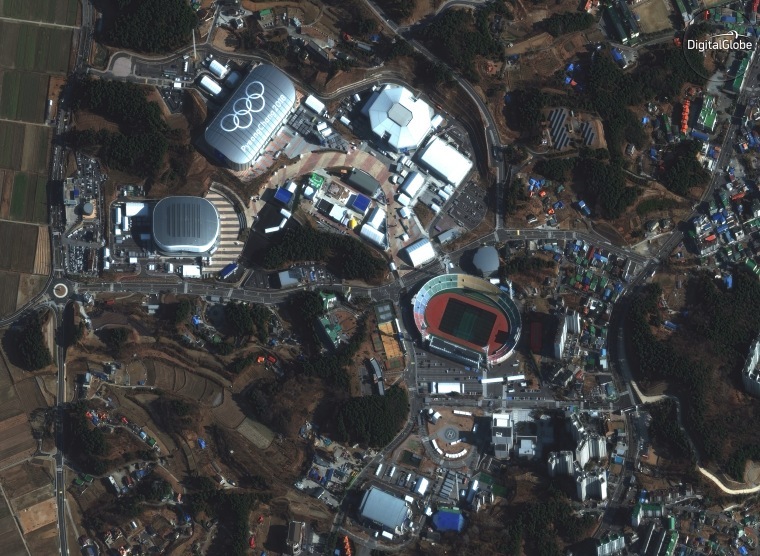 DigitalGlobe's satellites give us a unique perspective on many of the venues where Olympians from around the world will put years of training to the test, competing in 102 events in 15 sport disciplines. 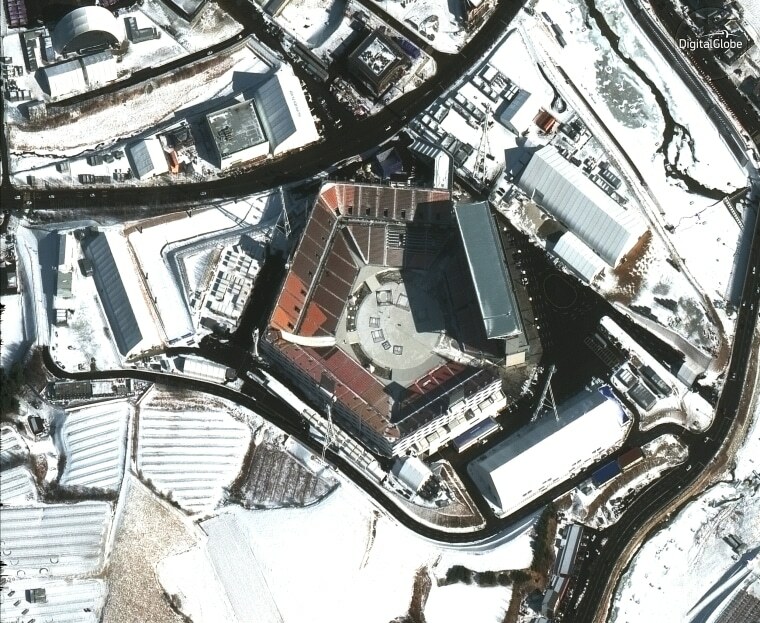 The PeyongChang Olympic stadium, which seats 35,000, will host the opening and closing ceremonies of the games on Feb. 9th and 25th. Most snow sports will be staged in PyeongChang while alpine speed events will take place in Jeongseon and all ice sports will compete in the coastal city of Gangneung. According to the organizers, all the venues are located within a 30-minute drive of the Olympic Stadium. 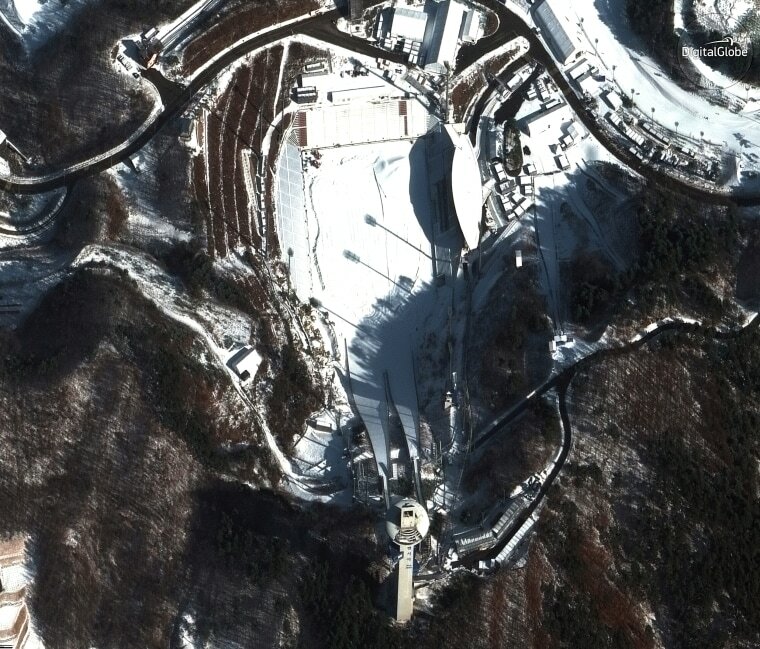 The village has eight 15-story buildings to house athletes competing in snow events in the host town of PyeongChang and nearby Jeongseon. Another Olympic village will house athletes in Gangeung for competitors in ice events like hockey and skating. In addition to accommodation, the villages include banks, post offices, convenience stores, laundry rooms, gyms and religious centers. 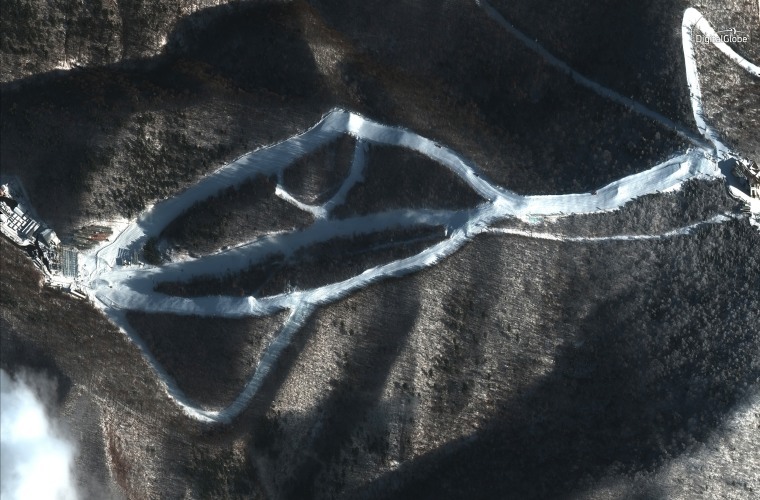 The park will host freestyle skiing and snowboarding events. 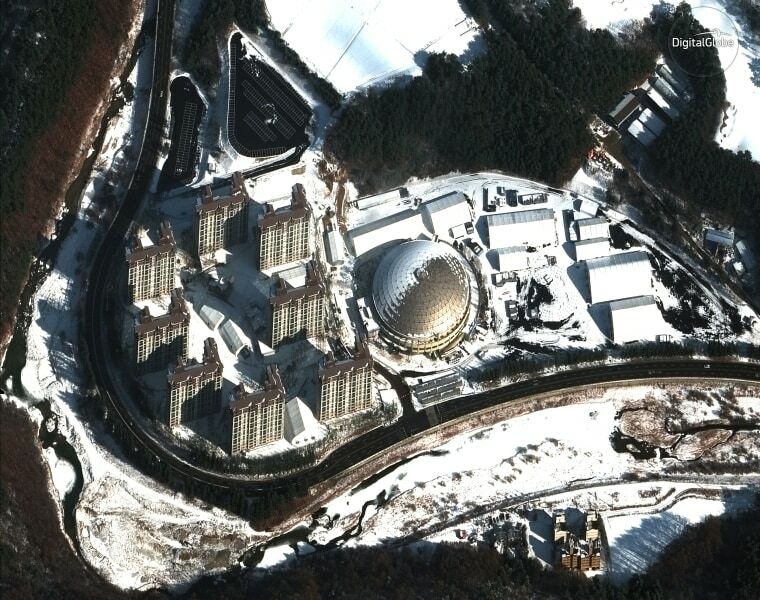 Bobsleigh, luge and skeleton events will be held at the center. Up to 6,500 spectators can watch downhill and Super-G skiing events at the center. 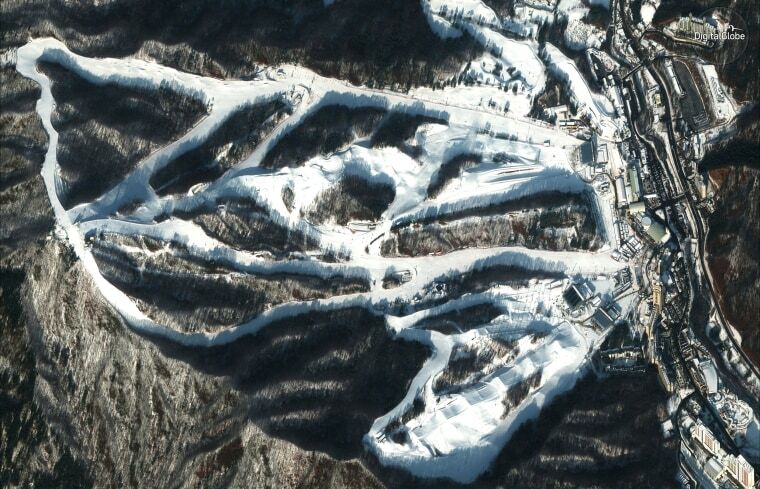 Giant slalom and slalom ski events will be held at the center. 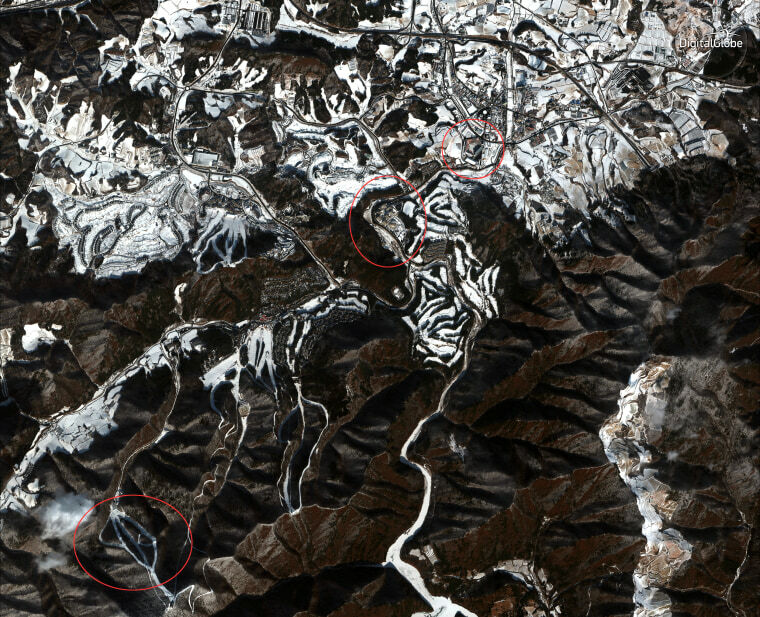 The tops of the ramps for the "Large Hill," left, and "Normal Hill" are visible at the bottom of this satellite view. 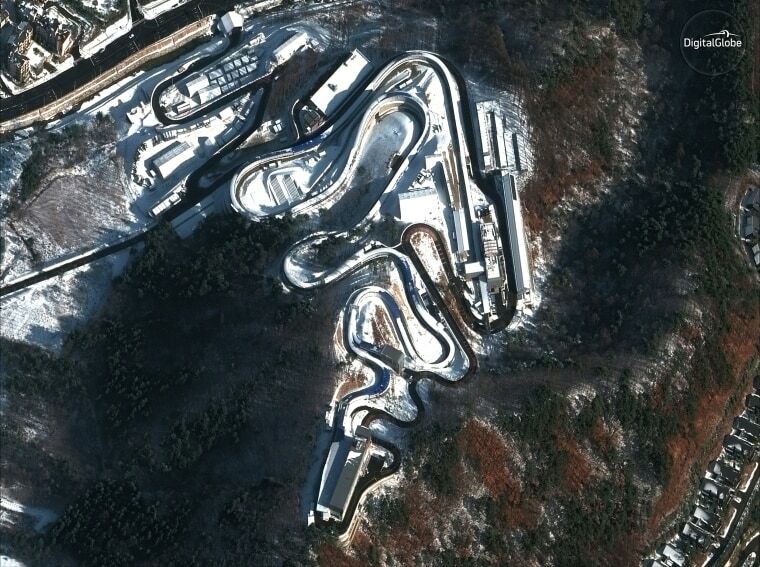 Skating, hockey and curling will be staged in the coastal city of Gangneung. Olympic rings cover the roof of the Gangneung Oval where speed skating events will be hosted. Short track speed skating and figure skating events will be held at the Ice Arena, just below and to the left of the Oval. 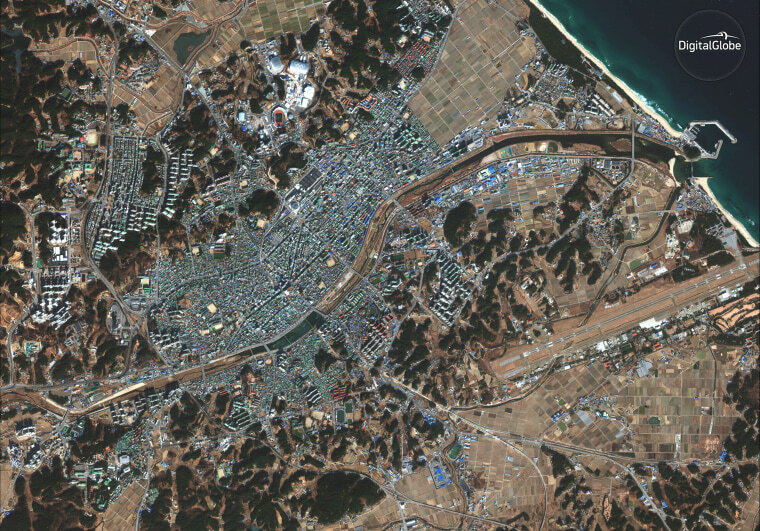 Gangneung, a city of 210,000, is a popular summer destination for South Koreans. 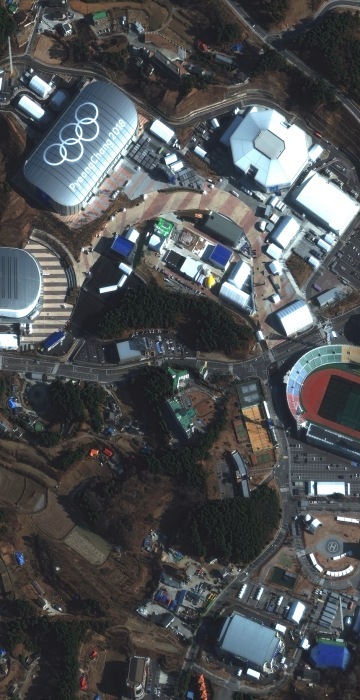 The Olympic Stadium is circled in red at top, the Olympic Village is at center and the Yongpyong Alpine Center is at lower left.